Once Gulzar Saab accepts a project then that project is bound to be affected by the special touch of Gulzarian creation. One can not simply hire a talent like him but can ask him to collaborate in the project. It does not matter if he is collaborating with big names like Mr Mani Ratnam and A R Rahman on a big and ambitious project like Raavan because this is certain that he will paint the project in his own way. 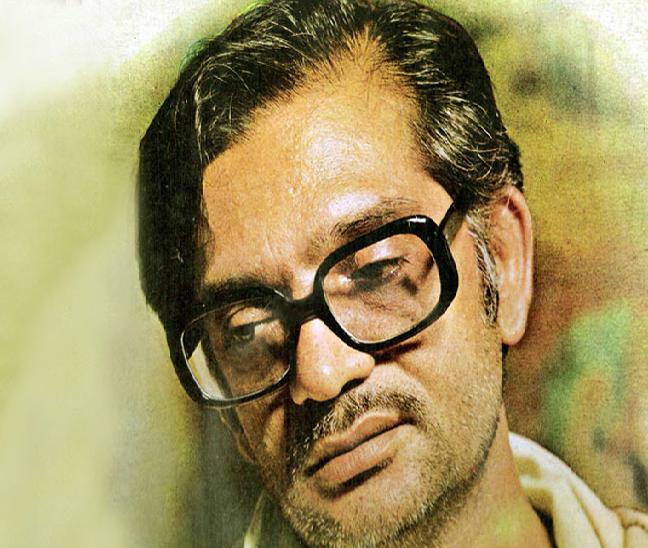 Through his writings and through his songs he is able to leave the impression with the people that Gulzar has also contributed in this project. A specific Gulzarian seal will surely be visible on every project he works on. Mr Ratnam might have conceptualised the character of Beera in his own manner but Gulzar‘s two of the songs Beera Beera and Thok de killi, give a defined and powerful persona to the character of Beera. These two songs give some clue about the possible characterization of Beera. Though majority of Guljaar Saab‘s work is based on the relationship between human beings and he is seen as a master who has added new dimensions to the human relations as far as representation of these bondings in hindi cinema is concerned. There is no parallel of Gulzar Saab‘s imagination and sometimes it goes to the far situated and almost unknown territories and listeners or readers feel it very difficult to comprehend the real meaning hidden behind his words, similies and metaphors and in such a case surrendering to his creation remains the only option and this free flowing with the ups and downs of his words bring a pleasure to the reader/listener. He is not simply a poet and a writer only but a director also and sometimes he plays a game with his audiences and he describes abstract visuals through words and this certainly creates an interesting situation before the audience who invests a great amount of energy to understand the mystery behind his creative writing. On surface Gulzar Saab looks calm, serious and sometimes he is seen in a joking mood also but deep down a rebel resides inside him and this rebellious characterstic motivates him to take a stand against the corrupt system. Whenever he touches the subjects relevant to the political and social scenarios of India he is found standing against the system. He has expressed his anger against the system through three of his films namely Mere Apne, Maachis and Hu Tu Tu. In his debut film (Mere Apne) as a director he had tried to caution the country that her wrong attitude towards youth and situations of unemployment among youth may push these young people to opt for wrong ways in the life. He had created a brilliant satirical song “Haal chaal theek thaak hai” in this film. Hu Tu Tu was completely a political film in nature and it revealed the rotten state of political scenario of our country. Through the character of public poet Bhau (Nana Patekar) Gulzar Saab tried to shake the society that otherwise sleeps most of the time. He made Bhau saying so many things which would have offended any politician whoever might have seen the film. Guljaar Saab had commented on the many contemporary scams of that time like Hawala and Fodder etc and he had touched the sensitive issues how country had been unable to provide basic facilities and even potable water to her inhabitants many decades after country got independence. गोबर के उपले क्या होते हैं? Through abovementioned lines Gulzar Saab tried to comment on the social and political discrimination followed by Indian society since centuries. Hu Tu Tu could not get much recognition at that time when it was released but now considering the problem of naxalism affecting the country in a big manner this film has become important and quite contemporary. Gulzar Saab has been registering his protest against the system time to time through his creative works. This may be a reason that he has hardly got any support from the power sectors of the society because basically his creative expressions go against the oppressive nature of the rulers and powerful people. This is different that due to his good success and thus popularity among masses as a lyricist, different governments have not been able to avoid him completely but this is also certain that perhaps he will never be rewarded like many other artists have been awarded by the governments in the past years. He may never be nominated to upper house of parliament. It is too difficult to make him a yes man. His dignity and rebel comes on forefront through his writings. Through the Raavan‘s song ” Thok de Killi ” Gulzar Saab has once again attacked the system captured by the corrupt powers. People may read the messages hidden behind this song now or many of them may understand it once they have watched the film as then they will be able to know the context also within which this song has been used in the film. But it seems by listening this song that he has made target the tendancy of political heavyweights of exploitating the weaker section of the society. India suffers badly from the discrimination of various kinds followed by her people and Gulzar Saab tries to caution the nation through this song. If people do not give proper attention to such a wake up call and do not do something to make the society where any kind of discrimination does not exist then country will have to suffer badly from the clashes among different sections of the society. Song is an obvious comment on the socio-political scenario of contemporary society. Gulzar Saab has shot the arrow in the air and it will be known only after the film is released that his arrow hits to whom and where. हु तू तू मेरी पसंदीदा फिल्म है.. व्यवस्था पर मारक कटाक्ष..! और मेरे अपने तो अपने आप में कालजयी रचना है.. हालचाल ठीक ठाक है गाने में ही गुलज़ार साहब अपनी बात कह जाते है.. कभी मौका मिला तो मेरे अपने फिल्म को दोबारा बनाने का सपना है..
एक अर्थपूर्ण और उम्दा पोस्ट के लिया आप का बहुत बहुत आभार !